After many shocking revelations in the Sheena Bora murder case, eminent journalist Vir Sanghvi has come forward to attest to the possible fact that Indrani Mukerjea was physically exploited and raped by her step-father. Vir Sanghvi who has been associated with many media organisations has also worked as the CEO (new business) in INX media in the past, where the Mukerjeas were working. In an interview with India Today, Sanghvi also revealed many other things about the Mukerjeas. What all did Vir Sanghvi reveal about Indrani? Speaking about Indrani, Sanghvi said that she is an obsessive woman who always wanted to be a media baron. He also claimed that once Indrani had told him that she was molested by her step-father. Sanghvi further revealed that once Indrani had introduced Sheena as her step-sister from the same step-father. Sanghvi said that Indrani used to tell everyone that she belonged to a very prosperous family of Assam and that her father left her. After that, her uncle had married their mother for supporting the family. Indrani then shifted to Kolkata because her step-father used to molest her and her mother did very little to protect her. What did he say about Sheena? Speaking about Sheena Sanghvi said that Mukerjeas used to bring her to every party and introduced her as Indrani's step-sister. What did he say about the Mukerjeas? Speaking about the Mukerjeas, Sanghvi said that people used to call them as 'Bunty and Babli' of the media industry. He stated that Indrani was strange in many ways, and that the couple always worked as a team. He also revealed about his relationship with the Mukerjeas and stated that he had parted with them on a very bitter note because of mutual disagreements. He said that he had left INX Media because he felt something was amiss when Peter announced Indrani as the chairman of INX Media. He also stated that people used to allege that they were both involved in inflating bills. Also, they used to send false TRPs of News X to promoters. 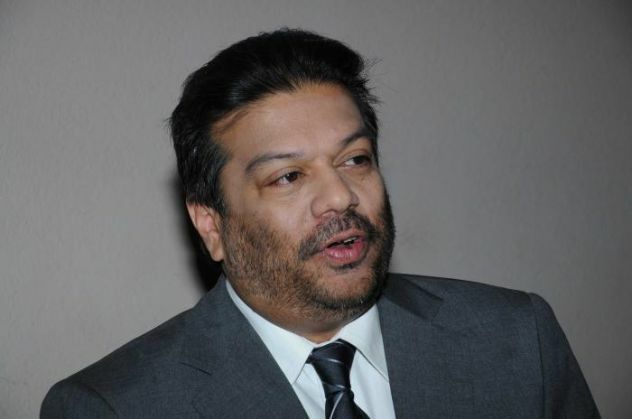 Sanghvi also stated that Peter was never enthusiastic in launching the channel, but 9X was launched by then and it is the 'biggest disaster in the broadcasting industry'. He alleged that they both used to lie that the channel was doing very well.